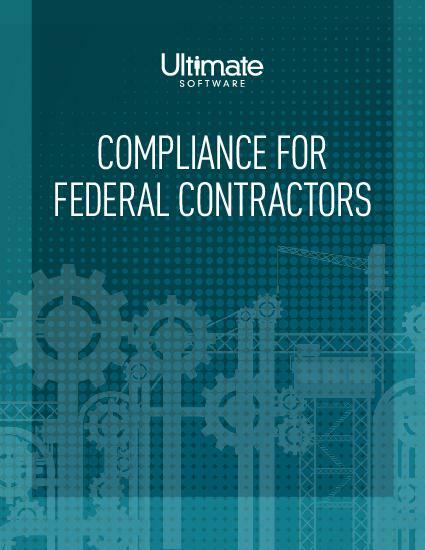 Ensure you are staying compliant with the changing laws and regulations for federal contractors and subcontractors. The Office of Federal Contract Compliance Programs (OFCCP) administers and enforces a variety of laws regarding the equal employment opportunity of federal contractors. OFCCP covers approximately 26 million employees, or 22 percent of the total workforce—if your organization employs any individual with a federal contract, you likely have employees under its jurisdiction. Failure to comply can lead to costly fines, and at times legal action. Compliance for federal contractors and subcontractors is consistently changing. Discover how the changing rules and regulations can impact your company. Please fill out this brief form to continue to your compliance guide.